If you’re like any of the 50 million premium users streaming music on Spotify, or the 94 million users watching video content on Netflix, or Apple Music’s 27 million paying listeners, then you probably put a high premium on your ability to consume multimedia content on your digital devices. Wide adoption of these technologies was only a pipe dream two decades ago, although there had already been early adopters of cutting edge tech even in the nascent stages of the internet. Think Napster and its contemporaries. While we had a shaky start in terms of business models and legalized usage, we are perhaps in a golden age of digital multimedia content. Virtually anybody with a smartphone and debit card can now gain access to streaming content — you can even listen or watch for free on some platforms. And yet, these business models are now again ripe for disruption, in terms of the sharing model and the business model. We are still far from perfect in terms of distribution, access, and profitability for content creators. But we are getting there with some help from tech. While the argument is that streaming services benefit both users and content creators, the platforms are often accused of getting the giant’s share of the profits, leaving little to the artists. Consider how Taylor Swift held off from Spotify for so long because of reportedly paltry royalty payments. This is because of the mainly centralized system put up by the likes of Spotify, Netflix, et al. They are our gateways to content, and as such, control over the flow of information and money in the entertainment industry still lies in the hands of a few — namely, the platform owner, labels, and other organizations that might have a stake in the profits. While blockchain technology was initially lauded for its revolutionary way of handling financial transactions, it can be used for far more. We have time and again discussed how the likes of Ethereum, NEO, and other decentralized ledgers can make bigger waves in the future by enabling developers to build applications and platforms that bolster the sharing economy. Going beyond cryptocurrency, Ethereum lets users create, maintain, and execute smart contracts — all managed in a decentralized fashion through the blockchain. I recently wrote about the real-world applications of this, from managing smart electricity grids, to managing the flow of capital in crowd-funding projects, to disrupting social media. What’s more interesting is how blockchain tech relates to other industries, like entertainment, for example. As a decentralized ledger, the blockchain aims to democratize oversight over digital assets, increase transparency, reduce transactional friction, and enhance sharing. That means Blockchain tech can potentially revolutionize the way we distribute and consume music. Let’s take a look at some concrete ways of how blockchain can significantly impact the music industry. Since time immemorial, there has always been the issue of ownership and access to content. Example: When you buy a book, do you only buy the copy, or do you own the content you have bought? When you buy a track on iTunes, do you have the perpetual and immutable right to play that song, and can you copy it on another media? This becomes more challenging when you consider a subscription service, wherein you pay for access to the platform, but lose the ability to listen to the track elsewhere or outside of the platform. On a technical level, OPUS encrypts music tracks on the fly and stores these permanently through the IPFS swarm. Meanwhile, you can listen to music through smart contracts, which will contain the decryption keys and file hashes. These smart contracts also provide a way for end-users to compensate creators for their music. OPUS addresses this through its API-based distribution layer. Even playback is decentralized, so that users have a choice as to the compatible players they can use. This also gives third-party developers the ability to build applications that can access rich content stored on the OPUS blockchain and swarm. In addition, OPUS also plans to drastically change the business model of music. The platform does not take a cut from artists’ earnings. In addition, even playlist-makers — who are credited for actually driving traffic to artists’ works — can also earn from their activities. But where does OPUS get its own business model, then? Currently, the organization has taken support from angel investment, and it has launched its tokensale — otherwise known as an initial coin offering or crowd sale — through which it plans to raise enough capital, in exchange for OPT, which are crypto-tokens that can be used for purchasing music. OPUS is locking in 95 percent of its tokens in smart contract for at least a year, to ensure longevity of the project. Being a decentralized and distributed ledger, there can be no entity that can unilaterally block valid access to content. 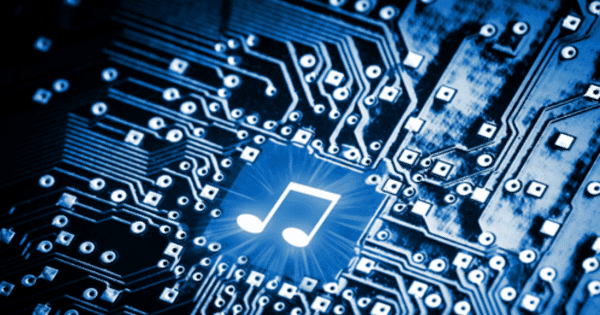 It does not only involve music, but potentially any kind of digital content. DECENT, a recently-launched platform, offers the ability for publishers to distribute their content globally through its decentralized, encrypted, secure and auditable platform. It aims to eliminate the middleman, thus bringing content directly from source to consumer. In essence, DECENT is decentralizing the distribution of digital context whilst protecting copyright. DECENT launched their ICO in 2016 and raised over $4 million. One big challenge in distributing creative works is whether these are also commercially viable. This can be particularly concerning for independent or small artists who do not have full control in managing their works. Case in point: it is estimated that platforms like Spotify get at least 80 percent cut of whatever you pay for your music. The copyright holders (the songwriter, in this case) only get slim pickings. Big artists — yes, Taylor Swift included — might have more clout, but losing a big part of their potential income to the platform can still hurt, considering the effort one puts into conceptualizing and executing their performance art. By contrast, independent artists often struggle in competition with everyone else in a big platform. Here’s where blockchain tech can help – by enabling artists to connect directly with fans and earn from revenues without cuts. A couple of years back, Imogen Heap collaborated with Ujo to deliver tracks directly to fans, whilst accepting payments in cryptocurrency. Considered a proof of concept, that ideal is actually being pursued by contemporary startups such as Heap’s own Mycelia. We now shift toward tinseltown. The multi-billion dollar movie industry is also rife for disruption by innovative technologies like the blockchain. It can be said that this industry is currently highly-centralized, with the real power residing in certain few (think Hollywood studios). Movie production is often mired in legalese and fine print, which sometimes results in people not getting their fair share of the pie. A startup called the 21 Million Project aims to decentralize film creation, which in particular can enable sourcing of talent, locations, and crew from across the globe. Better transparency means everyone in the production outfit knows where exactly the production money and box office earnings go. In particular, 21 Million aims to improve the way digital rights are managed, to ensure that filmmakers — and any stakeholder who truly has a share — will be properly compensated, all through smart contracts. SingularDTV is another startups that aims to decentralize the entertainment industry after raising $7.5 Million in its successful ICO. As with music, film is also no stranger to piracy, and it is often a costly battle for movie studios, distributors, and even law enforcement agencies to fight against piracy. Essentially, a movie is a collection of copyrights and titles, which span across screenplays, derivative works from books, designs, technical works, licensing from other works, merchandize, and so forth. A distributed ledger can address this challenge by creating an immutable record of transactions on any asset, idea, creative work, and the like. These can be tracked throughout their lifetime, even when ownership is sold or otherwise transferred or assigned, even when these assets are assigned to players in other industries, such as music, television, and the like. By now there is no doubt that blockchain technology can potentially disrupt just about any industry, trade, or activity. It’s a matter of finding the right execution and adequate adoption by its users. Entertainment certainly has mass appeal, and the success of startups like OPUS, 21Million, and the several others innovating the field offer an insight into just how big an impact the blockchain can have on our lives.